Nutrients in seawater present a paradox. Nutrients are, of course, essential for life. 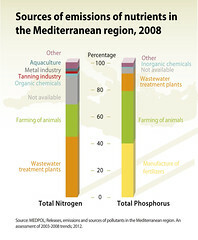 In the oligotrophic environment of the Mediterranean, the ecosystems with the most nutrients are generally the most productive and diverse. 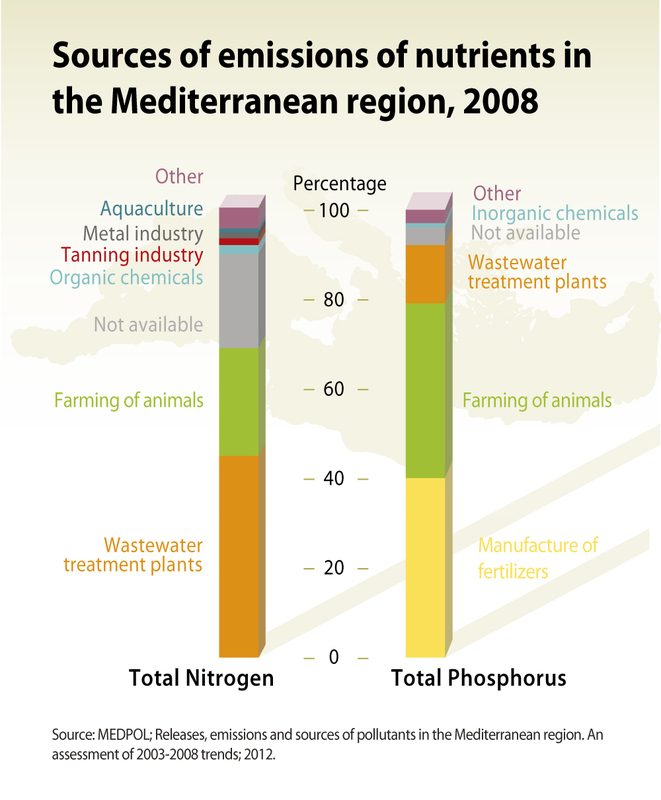 At the same time, many Mediterranean nearshore areas are threatened by nutrient over-enrichment due to coastal and watershed development. Many developed coastal areas suffer particularly from increased influx of dissolved nitrogen and phosphorus. Sources include untreated human sewage, animal waste, transportation, fertilisers and industrial discharges. 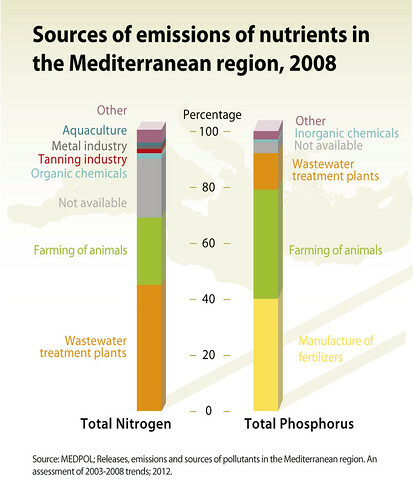 The largest emitters of nitrogen are urban wastewater treatment (45 %), livestock farming (24 %) and the organic chemical industry (2 %).While the main sources of phosphorus are fertiliser manufacturing (40 %), livestock farming (39 %) and urban wastewater treatment (13 %).